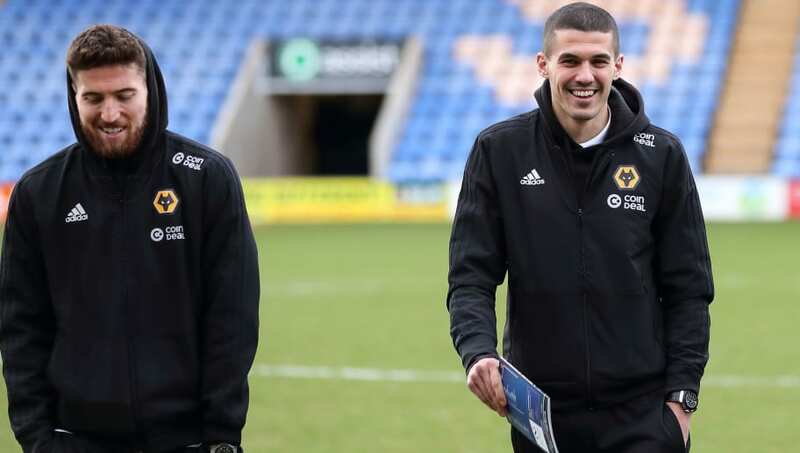 Wolves' defensive duo Conor Coady and Matt Doherty have signed new long-term deals with the club that will see them extend their stay at Molineux until 2023. Club captain Coady, has been an ever-present for Nuno Espirito Santo's side, playing every minute of Premier League action this season in Wolves' return to the top-flight, whilst Doherty, the side's longest serving player, made his 200th league appearance for the club earlier in the campaign. We are delighted to announce that Conor Coady and Matt Doherty have both signed new contracts with the club until 2023! Speaking to the ​club's official website after signing his new deal, former Liverpool academy product Coady revealed: "Everybody knows how much I love being here. As soon as the club came to me and told me about the situation I wanted to get something signed as soon as possible. "I love coming here every day, I love coming in to train, I love playing games, I love being part of this football club. To get it done and be sorted is fantastic, it’s a great for me and my family to be part of this football club for four more years. Republic of Ireland international Doherty added: "I don’t feel settled now, when will I ever really feel settled? I’ve been here for a long time, I’ve seen all the changes within the club; on the field and off the field. “Right now, I’m completely comfortable. I’ve got a young family and we live in the area, so I’m probably feeling my most comfortable now in all my years here.